Office of Multicultural Engagement Moves into New Space | The Gettysburgian. 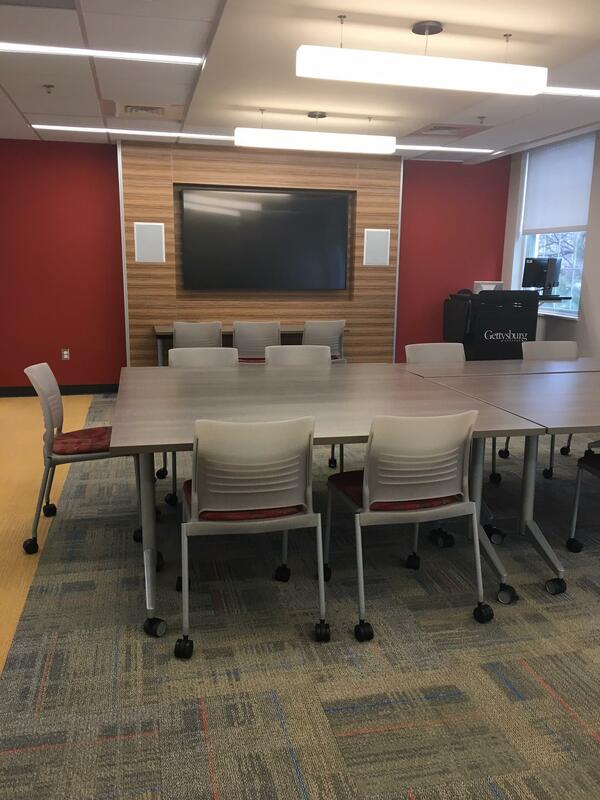 As part of its commitment to create an inclusive environment on campus, the Office of Multicultural Engagement (OME) is settling into a newly renovated space on 102 West Water Street. The building, which previously housed groups including the Phi Kappa Psi Fraternity and the International Student program, is now known as Mosaic House. It includes a classroom, full kitchen, laundry room, and spacious common area with a flat screen TV. In addition, it is home to the offices of OME Executive Director Dr. Darrien Davenport, Programming and Outreach Director Monique Gore, and Tutor Kelly Whitcomb. Upstairs, it contains a residential area with a total of 10 rooms – two doubles and eight singles along with a kitchenette—for student living. Students moved into these rooms during the weekend of January 20, but the OME staff have only worked in this location for three weeks so far. 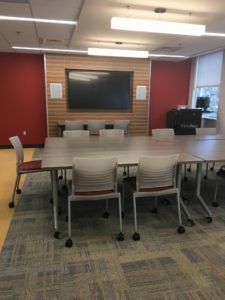 “We wanted to create a space where faculty, staff, students, and administrators are empowered and feel like they can just be,” Davenport explained. “People can hang out, watch TV, eat a meal, and engage in discourse. It’s like CUB East but without the baristas.” As a result, the building places a major emphasis on being accessible and inclusive to everyone on campus. All students are invited to stop by the common room, which is equipped with Netflix along with board games and a PS4 that they can rent out. In addition, members of the campus community can reserve parts of the building for club meetings or study groups using the 25 Live system. The basement provides an ideal space for events, since it features a powerful sound system, contains a large number of tables and chairs, and can fit about 80 people. The classroom on the main floor provides another good location for group meetings with its large screen and computer for projecting presentations. 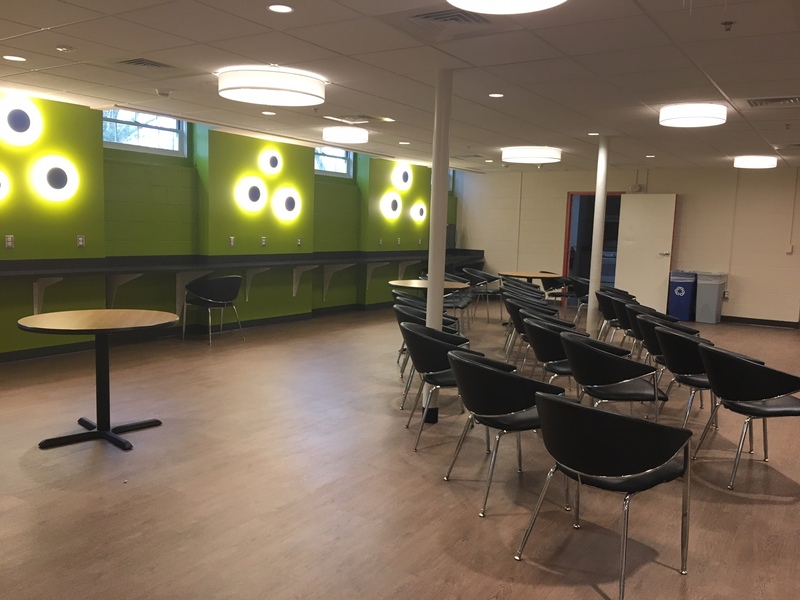 To accommodate everyone, the building also includes multiple gender-neutral bathrooms and a space on the first floor that could be converted into a dorm room for a student with a disability that makes it difficult to climb stairs. If necessary, Davenport explained that the college could install a gender-neutral bathroom and laundry room on the first floor for this resident to utilize. The new space will also give more students the chance to take advantage of the services offered by the Office of Multicultural Engagement. The program’s mission is encapsulated by the Mosaic acronym, which stands for mentoring, outreach and programming, support, and inclusive community. OME hopes to increase its visibility on campus by hosting an outdoor function once the weather warms up and potentially co-sponsoring an event with nearby fraternities. However, there will be ample opportunity to interact with the Mosaic House community before then. OME plans to host an Open House on April 19th for members of the community to explore the new space for themselves.